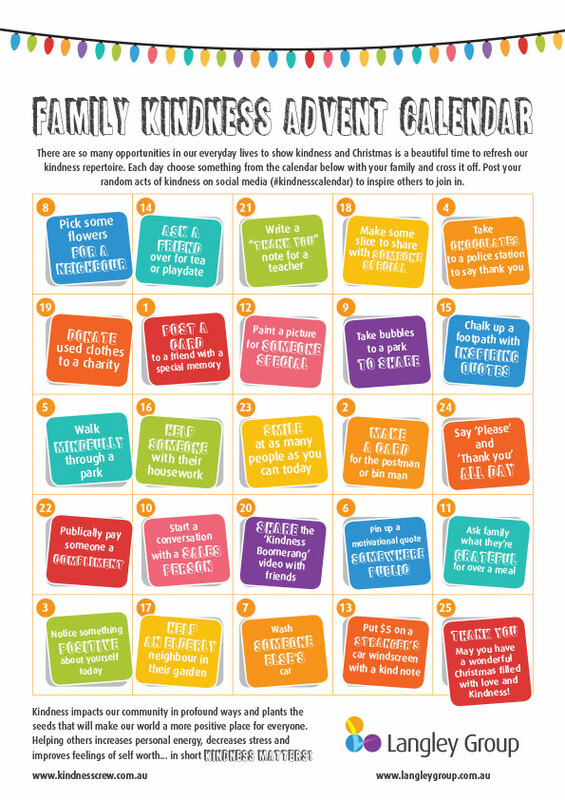 We are pleased to present these fabulous calendars from our friends at the Kindness Crew. 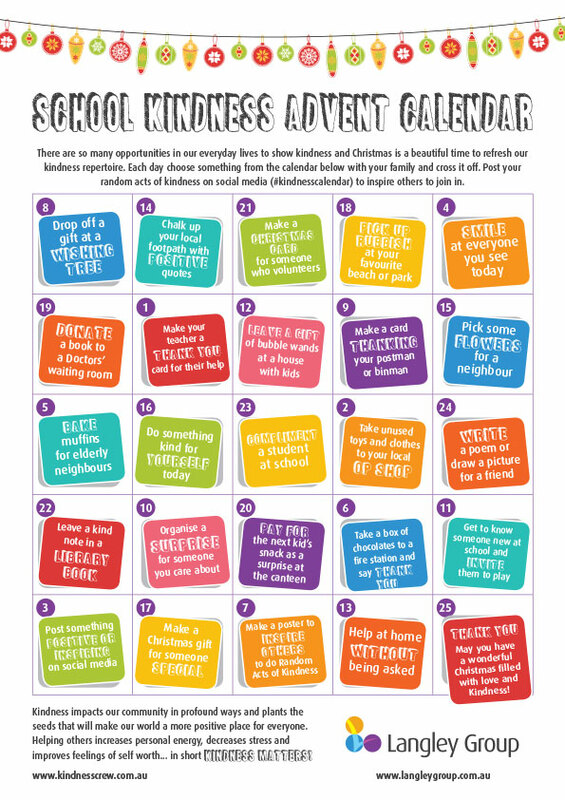 There are three different calendars – Work, Family and School – and each calendar has 24 Random Acts of Kindness that you can tick off in the lead up to Christmas. As our lives become increasingly busy it can sometimes be challenging to keep the focus on what matters most. 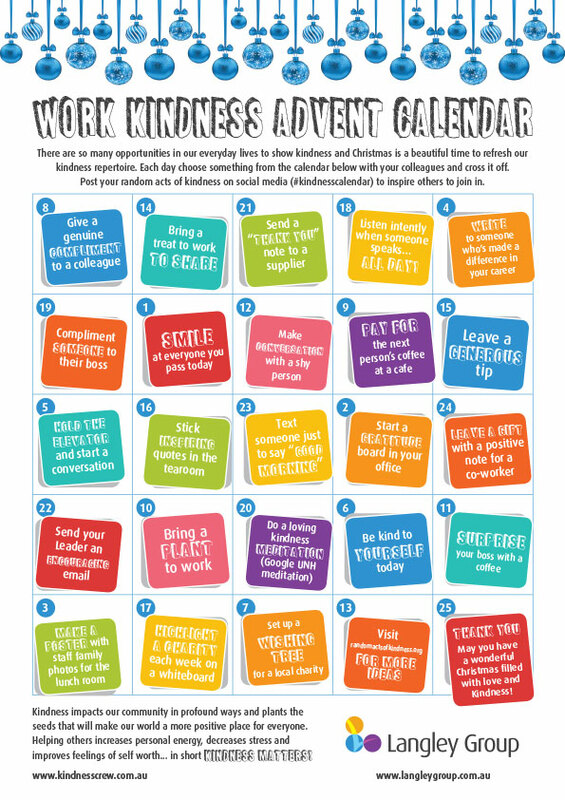 The calendars will inspire random acts of kindness and help start conversations around kindness to shift our mindset around what’s important. Download now and enjoy the kindness, and don’t forget to share them with your friends!